The first two videos in my Dragon NaturallySpeaking series are now uploaded to YouTube. When giving presentations about accessibility or talking to companies I’m often asked about how people with disabilities operate their computers and browse the web. Many people have heard that blind users may be using screen readers like JAWS or NVDA, and they have some idea how they work. But people tend to be less familiar with other tools or assistive technologies – for example, those used by people with motor impairments who may struggle to operate their computers with a mouse and/or a keyboard. I’m producing this series of videos on Dragon Naturally Speaking because I want to show people how it works, and to help people understand how those with motor impairments can use the software to do pretty much anything with their computers. What is Dragon Naturally Speaking? 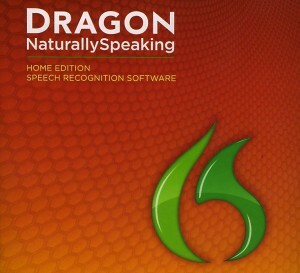 Dragon Naturally Speaking is voice recognition software. It can listen to vocal commands, and trigger actions on a computer or laptop. Although it’s not considered as assistive technology by its makers – Nuance – it is used by many people with motor impairments who would struggle without it. For this reason, most people in the accessibility fields consider it to be assistive software. In this video I talk in general term on what Dragon can do, and how you can train it to better recognise your voice. I also talk about some of the subjects that the rest of the series will cover. Hi there. My name’s Graham Armfield from Coolfields consulting and this is the first in a series of videos I’ve created about Dragon NaturallySpeaking. Dragon NaturallySpeaking is voice recognition software marketed by a company called Nuance. My interest in it stems from the fact that many people with motor impairments use voice recognition software like Dragon to help them control their computers and laptops – including browsing the web, and creating and editing documents. And when testing websites for accessibility I usually include some testing with Dragon NaturallySpeaking to see how easy it is for people with motor impairments to use the website. When you get Dragon, and I’ve got version 12 here, it all comes in this box. The two key bits inside the box are, this CD with the application on it, and a useful headset with which you can communicate with Dragon. Because of the sensitivity of voice recognition software, it’s much better to use a headset with Dragon NaturallySpeaking than a desktop microphone or the microphone in your laptop. Now when you first install Dragon NaturallySpeaking it will recognise successfully most of what you’re saying. But it’s much better to spend an hour or so training Dragon to better recognise your voice. To do this you are prompted to read some passages of text that Dragon provides. Whilst you are doing this, Dragon is tuning itself to your voice. Dragon stores all the information about your voice in a profile, and if you have more than one person who needs to use it, it’s possible to create multiple profiles on one machine, but each person will need to go through the training process. The training process with Dragon actually never stops because every time you use it you can have Dragon update your profile to further improve its recognition of your voice and vocabulary. You can also have Dragon NaturallySpeaking review documents and emails so that it recognises technical terms, jargon and figures of speech that you use. This series of videos introduce a number of the features of Dragon NaturallySpeaking, from starting and switching between applications, creating and revising documents, through to browsing the web – including interacting with forms, links and other elements found on web pages. I hope you find these videos useful. If you have any questions about the subjects covered in the videos or things you feel I haven’t covered please let me know and I’ll do what I can to answer them. In this video I cover the basics – including starting Dragon NaturallySpeaking, selecting a profile, and the commands for switching the microphone on and off. Hi, this is Graham Armfield from Coolfields consulting. This video is the second in a series of videos I’ve created about using Dragon NaturallySpeaking voice recognition software. In this video I’m going to cover the basics of using Dragon NaturallySpeaking. Assuming you haven’t configured Dragon NaturallySpeaking to run automatically, the first thing to do is to start the application. So let’s do that now. If more than one profile has been created on the machine, you’ll see a panel pop up asking which profile you’d like to use. You’ll notice that there are two here, my main one ‘Graham Armfield’, and another one called ‘Graham Noisy’. I created the second one because I discovered that sometimes Dragon NaturallySpeaking is quite sensitive to noisy environments – whether that’s in an office or when giving a presentation. So I created the second profile in a noisy environment, and now if I have problems using Dragon NaturallySpeaking when I’m giving a presentation, I can switch to the noisy profile and usually Dragon responds better. I’ll be covering creating a profile in more detail in another video. But now I’m just going to go with my normal profile which is currently highlighted here. So I just click on the open button, and the application loads the profile. It can sometimes take a little while for Dragon NaturallySpeaking to get going. And here we are, it’s started. The first thing you’ll notice is that a tool strip has appeared across the top of the screen. This tool strip can be configured to appear in a number of different locations, but I prefer it up here at the top of the screen. The tool strip contains a number of menu links over on the right that give you access to all the various controls that you may need. Over here on the top left is an icon that shows you the status of the microphone – that is whether or not Dragon NaturallySpeaking is listening to what you’re saying. When I start Dragon NaturallySpeaking on my machine the microphone is not enabled by default. That’s indicated by this red icon. When I click on it the icon turns green and now Dragon NaturallySpeaking is actively listening to my headset microphone. As I’m speaking, you’ll notice that there is an approximate representation of the microphone volume in the panel just the right of the icon. To temporarily disable the microphone use the command “Go to sleep”, and now you’ll notice that the icon has turned amber. To reactivate the microphone I use the command “Wake up” – and now Dragon is listening again. Over on the right hand side you’ll notice I have this help panel enabled. I like to keep it here as it reminds me of the various commands that are appropriate for whichever application I’m using, but you don’t have to have it open all the time. So there we are, those are the basic actions required to get Dragon NaturallySpeaking working. Further videos in the series will cover opening and switching between applications, and the various commands to use when browsing websites with Dragon NaturallySpeaking. I’ll be uploading the rest of the series soon when I’ve created all the captions and transcripts. But you can see the ones I’ve done so far.